The shocking murder of Sir Henry Claybourne leaves Regency London shaken and horror-struck. But for genteel spinster Miss Emmeline St. Germaine, the crime slices far too close to home. Just hours before the knight`s death she held a dagger to him, threatening him to stay silent as she rescued a scullery maid he had procured for his pleasure. Did the man—or woman—who murdered the knight know of her visit? 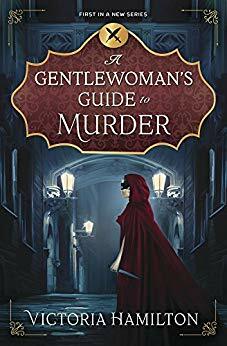 Her secret identity at risk, her reputation and life in jeopardy, Emmeline must solve the crime or face scandalous exposure and ruination, or worse—the hangman`s noose—for a crime she did not commit. ..